In January 2017, Boston Prep was selected by the Department of Elementary and Secondary Education, out of seven competitive applicants, to grow our student body by 300 students. In his recommendation to the Board, Commissioner Mitchell Chester stated, "[Boston Prep's] performance trends are consistent and high quality... The school's waitlist reports have demonstrated increasing demand for the school's program... Given the school's academic success, organizational viability, and general faithfulness to the terms of its charter,... I recommend that the Board grant the requested amendment to increase student enrollment by 300 students." As a result, over the next five years, Boston Prep's student body will nearly double from 400 to 700 students in grades six through twelve. $6.7 million to make this growth possible! In August 2017, Boston Prep completed construction of Phase One of a permanent home for the school at 885 River Street in Hyde Park. 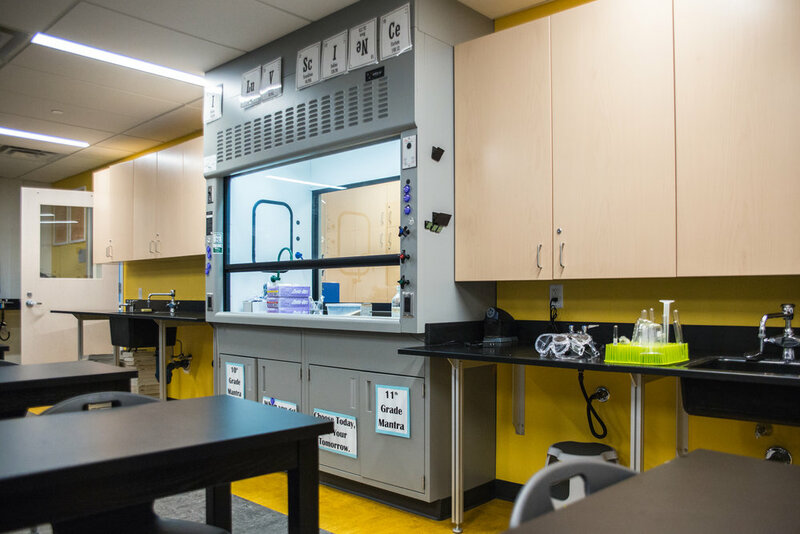 This new facility, for the first time in our history, offers students and teachers an environment designed to support a college preparatory education, complete with dedicated science labs, a gymnasium, a library, and integrated, modern technology. Boston Prep's new facility was constructed for 4oo students. While there is some flexibility in the current space, the school must expand to accommodate the 300 additional students joining the student body. An expansion must be completed by beginning of the 2018-2019 school year in order to maintain our "one-school" model, with all students across grades six through twelve learning together as a community in one school building. A $16 million project in total, a three-story wing will be added to the school, creating additional classrooms, science labs, meeting space, a second cafeteria, and an interdisciplinary workshop for cross-curricular project-based learning. Construction will be completed in collaboration with the same Phase One project team, including Studio G Architects, Pinck & Co., and W.T. Rich. As Boston Prep prepares for this exciting new phase, we are in need of financial support and leadership from our philanthropic community. We ask you to join us with a special gift to our capital campaign. Help us grow our building so that we may grow our impact. Please follow the link below to contribute online. To discuss multi-year commitments or gifts of low-cost-basis assets, such as stock, please contact Anders Peterson at apeterson@bostonprep.org or 617.333.6688 ext. 454.